Recent release “Escape from the Rock” from Page Publishing author Ray Edwards is both entertaining and enlightening; this work examines the author’s upbringing and the correlation between his youth and crime-involved life. Ray Edwards, a devoted writer and author, has completed his new book “Escape from the Rock”: a gripping and potent account about learning from mistakes and accepting consequences. The author aims to provide the reader with facts about wrong versus right and the truth behind delinquency. Published by New York City-based Page Publishing, Ray Edwards’ strong work gives a unique insight to life in prison. Ray Edwards spent over thirty years in prison. Escape from The Rock is Edwards’ recount of that time in the Florida State Correctional Facility and the time he spent in training school where his youth was spent learning the very things that ended up landing him in The Rock. 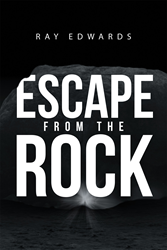 Readers who wish to experience this riveting work can purchase “Escape from the Rock” at bookstores everywhere, or online at the Apple iTunes store, Amazon, Google Play or Barnes and Noble.